All Hartland High School seniors and patients in our practice are eligible for our scholarships. Presenting the check to Bridget at Gleaners in 2017. Join us for some photo booth fun on Sports Guard Day!!!!!!! On behalf of the entire Hartland Smilemakers' Team, we welcome you, our friends and neighbors, to our family dental center. We hope you will find the atmosphere friendly, our accommodations comfortable and our technical services exceptional. Our well-trained, friendly staff will treat you with a personal and caring touch that everyone deserves from a family dentist. Our office offers state of the art dental techniques and facilities that are designed for greater comfort and the results will speak for themselves. Establishing rewarding and lasting relationships with patients is important to us. We pledge excellence in all we do, and we look forward to helping you make the most of your smile now and for all the years to come. *The Hartland Smilemakers are trusted General Dentists licensed to perform all aspects of dentistry and have cared for the community for over 40 years. While we are not specialists in any one field, we do provide a full range of top quality dental services including braces, root canals, extractions, implants, treatment of gum disease and cosmetic services. We will continue to educate ourselves in the newest, most effective techniques for all phases of dentistry. Our goal will always be to provide quality care to the people of our community. INTRODUCING our latest service now being offered to our HSM patients! Recently we sent an email to our patients asking for a review/testimoial of our office and we were so overwhelmed by the response. We thought we would share the responses we received. 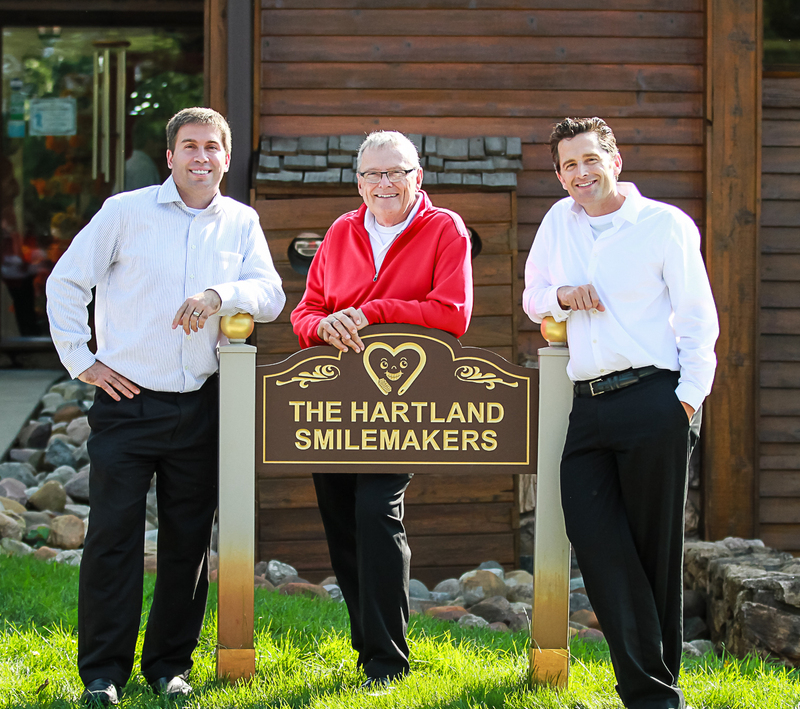 Dr. Chris McDaniel joined his father at the Hartland Smilemakers in 1999. A graduate of Southfield Christian High School, he went on to study at Calvin College and the University of Michigan Dental School, where he earned his DDS, graduating seventh in his class. Dr. Ryan Miller joined the Hartland Smilemakers in 2007. He was born oversees on an American Army base in Germany. When he was three years old, his family moved back to Michigan where he grew up working in his father's dental office. Dr. Ken McDaniel began practicing dentistry in Hartland, Michigan in 1975. I grew up in Livonia and am a graduate of Detroit Catholic Central High School. I did my undergraduate work at the University of Detroit, and my DDS at the University of Michigan Dental School where I graduated with high honors and was a member of the Omicron Kappa Upsilon Dental Honor Society .